Imagine that you have taken a new position with a company or organization and have been asked to provide a short biography statement for the company newsletter or the team section of the company website. You will probably be able to use some of this assignment later in the term when you work on your Job Application Materials. Step 1: Decide on a specific audience and purpose for your project. You will tell me about your Audience and Purpose in a forum post on Tuesday, September 2. Details on that assignment will be included in the blog post for that day. You have the opportunity to aim for the grade you want to earn in this class. The options below outline what you need to do for the grade you want to receive. No one, in my experience, aims for a D, so I have not included any options for below-average work. If you really want a D, just do super sloppy work to unlock that achievement. C project: Write a professional biography statement (no longer than 250 words) that introduces yourself to a specific professional audience. You may choose whether you are writing for a corporate audience, an academic audience, or a lay audience. 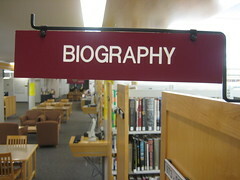 Your biography statement should be complete, well-written, and include no spelling, grammar, or punctuation errors. C+ project: A C project that shows a bit more effort by adding an appropriate photo and using design elements (like headings, layout, etc.) to highlight key information and make the bio more visually appealing. B project: Write two professional biography statements (no longer than 250 words each). One should be in a formal style that is suitable for academic or corporate purposes, and the other should be more in a informal, casual style that is suitable for a lay audience (like clients or coworkers). As an example, the formal version might appear in the company’s annual report while the informal version might appear in the employee newsletter. Neither statement should have any spelling, grammar, or punctuation errors. B- project: A B project that has one or two of the following problems: (1) a few flaws in spelling, grammar, or punctuation, (2) problems with sentence structure, (3) seems incomplete or underdeveloped, or (4) does not adequately modify the text to fit two different audiences. B+ project: A B project that shows a bit more effort. You might include two photos of yourself, one for each biography. Tailor the photos to the statement’s purpose and audience. One should probably show professional, business dress, and the other can be less formal. You might also use design elements (like headings, layout, etc.) to highlight key information and make the bio more visually appealing. A project: Write two versions of your professional biography including photos and design elements, as for the above-average (B+) project above. In addition, adapt one of your biography statements to create an About.me profile page that includes a 50-100 word biographical statement and related links and images. If you already have an About.me profile, save a “before” version by taking a screenshot or saving the page as a PDF, and then update and revise the page to create an “after” version. All three parts of your project should should be free of spelling, grammar, or punctuation errors. The writer was aiming for a B and wrote two versions of the bio, but the finished text was full of typos. It was clear the writer didn’t proofread at all. Even worse, one of the bios was only 45 words long. The writer didn’t show the effort the project required. The project earns a C rather than a B. The writer was aiming for a C and wrote a bio of less than 250 words intended for a corporate audience, but the finished text wasn’t in the right format and included so little detail that anyone with the same major could use it. Additionally, the bio was written in all lowercase letters and had several typos and punctuation errors. Again, the writer didn’t put in the effort. The project earns a D.
The lesson here is this: put in the effort and do your best work. Be sure to proofread your project before you submit it. Step 3: Write your biography statement(s). Write the biography statements that you have chosen for the project using Google Drive. Use the resources that were posted in the Project 1 Overview blog (2014/08/28). Who is the audience for your statement(s)? What do I need to know to understand the information you have included and the tone you have used? If you wrote more than one biography statement, what did you do to fit the different audiences and purposes? If they are included, why are the images appropriate and effective? Write this memo to me, using specific details from your biography statements to help me better understand your work. Tell me anything you want me to know about your project before I read it. When you are finished with the project, you will submit your reflection memo in the Assignment tool on Scholar and give me the Google Share link(s) to your biography statement(s). I will provide more details in the blog post for the due date (2014/09/11).